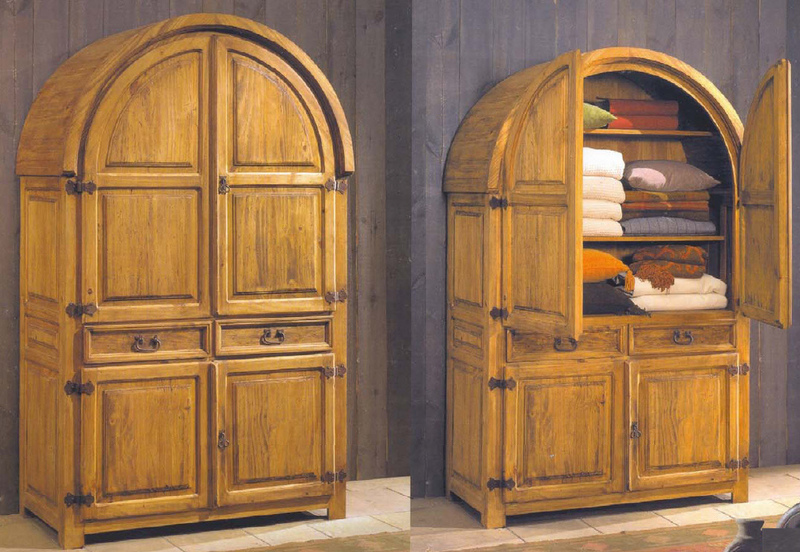 Arch armoire - Gentle arches soften the space. Practical for storage. One of the things we love the most about Mexican colonial style is the presence of arches. This sturdy armoire is a wonderful way to keep your bed and bath linens, clothes and other items well organized, fragrant and out of the way. It also works beautifully to bring additional Spanish colonial or Tuscan character into your bedroom, office of Mexican living room. Available in Light, Medium or Dark finish. 100% kiln-dried solid pine wood.